Villa scena is a 2-bedroom private villa as modern and minimalist approach, and nestled on a breezy hillside of Nusa Dua Bali, just 20 minutes drive from the International Airport. The villa offers the perfect romantic gateway from the pressure of life, and chance to relax and revitalize in style. Conveniently situated on a breezy hillside of Nusa Dua Bali, just 20 minutes drive from the International Airport, Scene Villa is another word for excellent romantic gateway from hustle bustle of daily life, a sanctuary to revitalize and rejuvenate your body and soul. 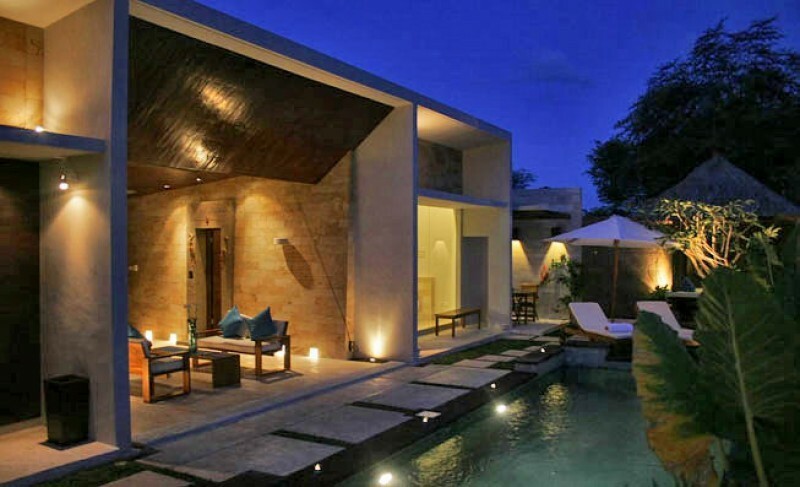 Scene Villa is a 2-bedroom private villa designed with modern and minimalist approach combined with an attention to detail that hardly can be found in other villas.